The review reached broadly positive conclusions. High-quality PSHE helps children develop skills and knowledge to be used throughout their lives, and supports their wellbeing. The wider implications of these lessons will be clear to most of us, and so it is concerning to see Ofsted highlight the lack of high quality provision in many schools. The results here show that high quality PSHE education benefits young people, and may be particularly helpful targeted at those from disadvantaged backgrounds. This report summarises the positive impact on academic attainment, including through benefits to physical health, mental health and behaviour, all of which greatly affect students not just in the classroom, but continue to benefit them in their adult life. Public Health England have developed a fantastic resource to help teach PSHE in secondary schools (with some being suitable for Year 6). 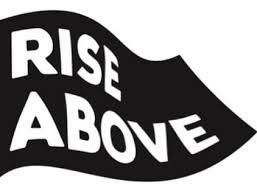 Rise Above for Schools provides free PSHE resources that support secondary school teachers when promoting positive health, wellbeing and resilience among young people aged 11 to 16. The resource has been awarded the PSHE Association Quality Mark for effective practice in PSHE teaching. By including video content co-created by young people for young people, Rise Above for Schools is designed to help you to facilitate open and informed conversations with your students on a range of sometimes challenging areas of PSHE education. These new resources include videos, lesson plans, activity ideas and guidance for teachers on topics such as bullying and cyberbullying, alcohol, positive relationships, smoking, exam stress, online stress and body image in a digital world. The guidance suggests how to integrate these topics within your planned PSHE programme, enabling students to develop the knowledge, skills and attributes to manage real life situations related to each topic. Materials on further topics will be released later in the school year 2017. Core activities are designed to be used on a peer-to-peer basis, and include time to use the Rise Above website independently to consider topics students would prefer to explore on their own. An independent study* has demonstrated that watching Rise Above video content for 10 minutes or more can drive positive behaviour change – young people reported a decrease in the appeal of risk-taking behaviours and found it significantly easier to talk to parents or carers about sensitive topics. These documents aimed at primary and secondary schools, have been created by Cornwall Healthy Schools to provide schools with guidance about structuring their PSHE curriculum, including a possible way to organise the PSHE curriculum and different PSHE topics that could be covered throughout an academic year. It also provides schools with a range of free lesson plans and accompanying useful resources, which could be used to teach the different PSHE topics. However, it is just a guidance document; the school is best placed to make decisions about how to offer children a broad and balanced PSHE curriculum– there is no right or wrong way! This is non-statutory advice from the Department for Education. Maintained schools have obligations under section 78 of the Education Act (2002) which requires schools, as part of a broad and balanced curriculum, to promote the spiritual, moral, cultural, mental and physical development of pupils at the school and of society. This guidance relates specifically to the requirements to actively promote fundamental British values in schools and explains how this can be met through the general requirement in the 2002 Act. The Department for Education has updated statutory guidance – Working Together to Safeguard Children and Keeping Children Safe in Education – to make it clear that radicalisation is a safeguarding risk. Working Together explicitly states that Local Safeguarding Children Boards (LSCBs) should publish a threshold document and that they "should agree with the local authority and its partners the levels for the different types of assessment and services to be commissioned and delivered." The Department has written to LSCBs advising them to consider referring explicitly to radicalisation in their threshold documents. For the most current information relating to this subject, please go to the Department for Education website. Whilst normally all learning in PSHE education is built into a planned progressive programme, there are times when we may need to respond immediately to unforeseen events, such as terrorist attacks. When terrorist attacks occur, young people may wish to talk about them and the context for this discussion may be in PSHE education lessons. It is impossible to create a 'one size fits all' lesson plan that will be appropriate for all such events but this document may be helpful in structuring discussion. The resource is available, via this link. Schools can receive support from Barnardo's for their work helping LGBTQ children and young people who are being bullied.The Barnardos Faith Toolkit will give schools and local communities the tools to effectively address homophobic, bi-phobic and transphobic (HBT) bullying, and support young people.The resource includes views from all the major religions, as well as an information pack with background to the issue, advice sheets and personal stories from the LGBTQ community. Barnardo's Positive Identities Service developed the toolkit with local schools, faith, gender and sexual orientation groups.The toolkit is available in a variety of ways – further information is available from Yasmeen Sharif, Children's Services Manager on 07785 252603. Below, you will find a number of different lesson plans, that have been produced to promote a wide array of different health and wellbeing areas. Often, the lesson plans contain accompanying resources to help promote key health and wellbeing messages to children and young people. Many of the resources and lesson plans have been accredited by the PSHE Association and the age they are aimed at, is stated in the title. A number of the lesson plans have been created, with the idea of delivering the sessions to a whole class, however there is no reason why staff working either with individual children or groups, could not use the resources and adapt them as appropriate. Click on the title of each resource, to find out more information and to access the resource. The Disrespect NoBody campaign, builds on the Government's previous 'This is Abuse' campaign, and is aimed at preventing abusive behaviours within relationships. The teaching resource helps young people to understand what a healthy relationship is, to re-think their views of controlling behaviour, violence, abuse and consent and directs them to places to go for help and advice. It aims to help young people to develop key skills and attributes such as: empathy, respect, communication and negotiation so that they can enjoy healthy relationships both as they grow up and in adulthood. Media Smart, is a not-for-profit organisation providing educational materials for teachers, parents and youth organisations, to help young people evaluate the advertising they come across in their daily lives. These free Key Stage 2 and 3 resources – created by independent experts and supported by the Government Equalities Office – are designed to enable teachers to build pupils' emotional resilience as they learn to engage more deeply with the messages and methods of advertising. The resources are designed to be fully inclusive and suitable for co-educational delivery. The 'What is Cancer' lesson plans, from the Teenage Cancer Trust, are designed to increase pupils' understanding of cancer, help them to identify its most common signs in teenagers and also to feel more comfortable about discussing the topic while challenging some common misconceptions. This lesson for Key Stage Two pupils, from the CO Awareness charity, should be used as part of a series of lessons designed to support pupils' understanding of managing and reducing risks to physical, emotional and mental health. It enables pupils to understand the potential risks of CO emissions and what they need to know to help reduce those risks. This Barclays LifeSkills programme, provides educators with more than 50 hours of free curriculum linked employability resources - including videos, activities and lesson plans, as well as interactive tools for young people. Focus areas include: how to make informed choices and be enterprising and ambitious; how to develop employability, team working and leadership skills and develop flexibility and resilience and how personal financial choices can affect ourselves and others. This set of free downloadable resources by Railway Children, provides opportunities to explore important issues associated with why children and young people run away.The lessons are designed to help pupils understand the risks of running away, and identify safer alternatives and people who may be able to help them. In addition, the resource provides scope to explore issues which relate to emotional wellbeing and mental health such as friendships and bullying, family life, homelessness, child sexual exploitation and domestic violence. This Alcohol Education Trust workbook, provides resources and guidance for secondary school teachers to use in lessons. The focus of the resource pack is on enabling pupils to make informed choices about alcohol use. The pack includes teacher notes, worksheets, discussion-based work, group work, true or false 'myth busters' and links to interactive games, quizzes and activities. These materials can be adapted to suit the knowledge and experience of pupils. The workbook provides material about alcohol units, the law, alcohol and its effects, how to stay safe and how to resist peer pressure. There are also leaflets for parents and teens available. The NSPCC Underwear Rule teaching resource, supports practitioners to deliver messages to pupils that help keep them safe from harm and abuse. The resource - aimed primarily at pupils aged 5-9 – includes a lesson plan, pupil activity resources, teacher guidance and more. Using the acrostic message PANTS, the resource aims to deliver the key messages that: Privates are private; always remember your body belongs to you; no means no; talk about secrets that upset you and speak up, someone can help. This thorough, professional and inventive suite of resources, provided by THINK! comprehensively covers all key stages, provides a wealth of positive road safety learning opportunities for pupils. The 25 lesson packs help to cover a range of road safety topics and are clearly differentiated between Key Stages, with each lesson pack including a lesson plan, links to road safety teaching resources and activities. The particularly impressive resources encourage pupils to construct their own resources and then offer online enrichment activities to supplement this. The Share Aware teaching resources and lesson plans have been created by NSPCC to provide straightforward, no-nonsense advice which will untangle the web, and let you know how, as a teacher or practitioner, you can show your pupils ways to be to be safe online. These teaching resources support you to deliver the 'stay safe' messages to pupils. They've been written in conjunction with teachers, producers of educational resources and experts from the NSPCC – and have been piloted in primary schools to make sure that pupils respond to them. DEAL is a teaching resource that has been developed by Samaritans. Activities are designed to be inclusive of all abilities and learning styles. The resources are aimed at students aged 14 and over, but some teachers may feel the resource is appropriate for younger pupils, depending on students' previous learning, their level of maturity and understanding, as well as their needs. The DEAL resources are a set of lesson plans and activities that are divided into: emotional health, coping strategies, dealing with feeling and connecting with others (communication skills). There are a number of core lesson plans focussed on the before mentioned areas and then twenty minute follow up sessions (which could perhaps be delivered in tutor time). There are sessions on exam stress and coping strategies. The Diana Award Anti-Bullying Campaign has teamed up with ASOS to launch #MySenseOfSelf, a brand new project exploring body image, body confidence and self-esteem. From speaking to young people and staff across the country through our Anti-Bullying Ambassadors Programme, a lesson plan has been created for teachers or staff members to use. This resource aims to encourage students to open up a discussion with their peers about body image and is packed full of interactive activities. It contains everything you need to run a 1-hour class or a number of shorter sessions, and explores 3 core themes: social media and its impact; celebrating difference; and developing self-esteem. It is suggested that before teaching the PSHE Association sessions, which are for Key Stage One to Key Stage Four, the PSHE Association's guidance document 'Preparing to teach about mental health and emotional wellbeing' is read. The lesson plans are designed to be used flexibly, with a wide range of activities offered. Many teachers or staff will select the lessons most relevant for their pupils and adapt them as appropriate. The plans are based on one-hour lessons; however the timings indicated on the plans are the minimum time required to deliver the activities, and teachers may choose to dedicate two hours to each lesson. The Expect Respect Educational Toolkit consists of one easy to use 'Core' lesson for each year group from Reception to Year Eleven and is based on themes that have been found to be effective in tackling domestic abuse. Although the Expect Respect Education Toolkit is targeted for use by teachers within schools, it can just as easily be used by a range of other professionals working with children and young people in a variety of settings such as youth clubs or play schemes. You do not need to download the whole toolkit. You can just download the introductory section and the year that is appropriate to the age group you are working with. This Change4Life resource helps to keep Reception and Year 6 pupils healthy and also have fun! The 'Our Healthy Year' toolkits are designed to build healthy habits in children during the school years, in which they are weighed and measured (linked to the National Child Measurement Programme). Developed with educational experts, the activities are flexible and easy to use to help teachers build fun, healthy curriculum-linked activity into their existing lessons and everyday routines. Although these activities are created for Reception and Year Six, teachers from other classes will be able to use the resources to gain ideas. Developed by educational experts, the Change4Life Food Detectives toolkit offers a wide range of fun and engaging activities that can be used within the classroom and at home. These resources have been designed to be flexible – you can choose how to fit them into your timetable. There is a Key Stage One and Two lesson, but they consist of lots of activity ideas, which can be used by different teachers, as they consider it appropriate.